Right now it is what are frighteningly called ‘The Hungry Months’ in Darfur, but this year people have been facing starvation for many months. Thankfully the rains have started. After drought and a failed harvest, families that have managed to save seeds, are beginning to plant, but, this year, the drought has been so extreme that many families have had no alternative but to eat seeds they should be planting. We have to help. 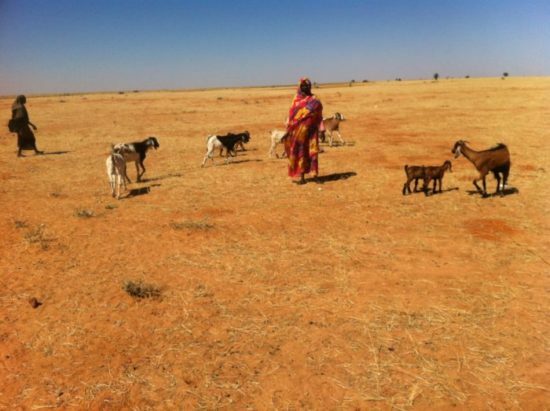 Darfur is a place of extremes: the rain, which is so needed, also causes floods, sometimes flash floods, which sweep away people, their animals and the new seeds. In one village four children were drowned recently because, having no experience of deep water, they had no idea that there was a large crater dug to make bricks. No one can swim in Darfur. When the rains halt, the standing water brings mosquitoes. In a country where malaria is still the biggest killer, we have to ensure there are mosquito nets available for children and their parents. For many families this is the most challenging time of year, when there is rain but no harvest as yet. The grass is beginning to grow and the animals will at last have fresh food – our goats will produce kids, and milk for the children to drink. Kids for Kids’ goats are more important now as many children will have had no protein for many months. It will be another three months before people will have anything they can harvest and then have food to eat, and hopefully a surplus to sell for other essentials. We need to continue to provide our Urgent Need Packages to those that are worst off, especially to ensure they have something to eat for next year. It is just £30 ($40) for 90 kilos of sorghum flour which will last a family for the next three months; £16 ($21) to provide Two Large Mosquito Nets to keep a family safe from malaria during this dangerous time of year; and £15 ($20) for One Sack of Seed that can be planted immediately. If families receive no help, the situation will become even worse. Could you please consider donating today? Help us help as many families as possible through our website, mailing us a cheque, Global Giving, or another method of donation. Thank you.